Hello there. I've been in Ireland this week visiting friends and family. I had a very nice time - so much so I managed to break my glasses. Not quite sure how it happened, but my suspicions rest on the pet of one of the families we visited; a dog who enjoys chewing stuff - shoes and glasses being among his favourite snacks. Since I couldn't interrogate him sensibly, I gave the suspect hound a hard stare, but he remained inscrutable, giving only the odd woof, and licking my face cheerfully (perhaps wondering where the specs had gone?). But then again, there was wine going around, so maybe I sat on them. It's a mystery. 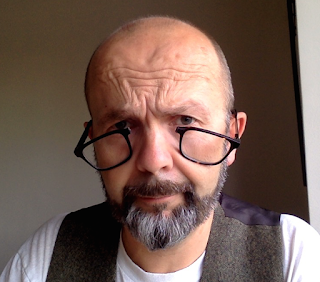 Anyway, upon my return to England, I superglued the specs together long enough for me to record the first episode of H.P. 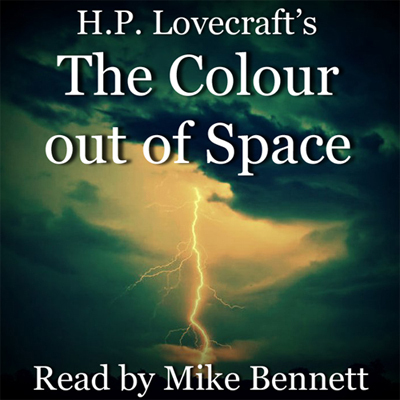 Lovecraft's The Colour out of Space, then they blew apart under the pressure of all the cosmic horror. If you don't know the story, trust me, it's a cracker; a little slow to get rolling, but definitely one of HPL's best. The story is currently a Patreon exclusive for everyone at $1 a month and over. And for anyone who's not signed up to support me at Patreon, it'll be in my regular podcast feed later on this year. But why wait? One buck a month - it's less than a Mars Bar! You know you want it ... Get the Colour out of Space Episode 1 right now. Blood and Smoke Q&A at Patreon. Blood and Smoke 7 - Planetwide!